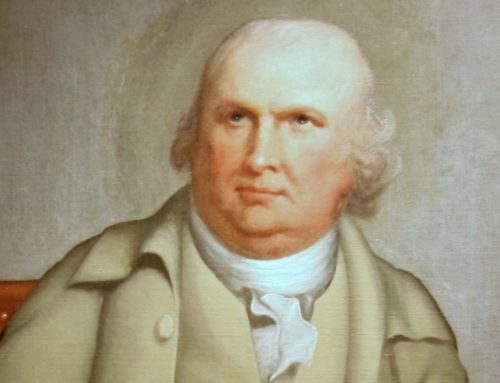 In his politics and in his works, Burke spoke for the concept of the nation, and nowhere is this more apparent than in his Reflections on the Revolution in France And rarely have his views been more relevant than in present-day America. Fortunately, Americans have never been subjected to a revolution as terrible as that of the eighteenth century French. Unfortunately, however, Americans have been victims of political ideas that have been fully as revolutionary and superficial as those of the French revolutionaries and that threaten to render American policy both enfeebled and directionless. The consequences pose a direct threat to the very idea of an American nation. Burke understood full well the dangers in removing government from its traditional moorings. The British in his view derived their government and their politics “as an inheritance from our forefathers,” (117). The French revolutionaries had deliberately, and foolishly, rejected the proud past of their nation, and, instead, engaged in a rampage of social experimentation. Infatuated with the power of reason, they sought the total remaking of society. The results were sometimes ludicrous and too often tragic. Edmund Burke’s response to the French Revolution continues to offer Americans useful insights into what constitutes a nation. Burke’s Reflections confronted, at times in hyperbolic fashion, a change of cataclysmic and historical proportions. With uncanny prescience Burke identified the dangers posed by France’s degeneration into the throes of absolute democracy. Today, America and the western world face attacks on the nation-state of a different sort but no less challenging or predictable. For Americans, in particular, Burke’s admiration for the British nation and his criticisms of what he saw as the destruction of the French nation are especially apt. America, unlike either Britain or France, is itself in many ways completely new and remains in a process of continually reinventing itself. Composed of peoples from many lands and of many customs and beliefs, American society is more fractionated than ever before and in some ways is poised on the precipice of losing a sense of national unity and a national past. Burke’s singular contributions to Americans at this point in their history are his statements of the dangers of radical change and of the importance of protecting the traditions and institutions that constitute the vital core of nationhood. In the Reflections, Burke begins his attack on the French Revolution with a spirited defense of the British Revolution of 1688. He was determined to show that the British overthrow of James II was fundamentally different from what the French were undertaking. Radicals in England and France argued that because of the Revolution of 1688 the British had accepted the principle that “a popular election is the sole lawful source of authority,” (111). Nothing, replied Burke, could be farther from the truth (97). The British upheaval of 1688 in fact continued the tradition of hereditary monarch and the underlying laws of governance. Nowhere in the acceptance of a new monarch or in the Declaration of Right was the right of popular sovereignty assumed or proposed. Burke accepted that monarchs make mistakes and are not above criticism, but he was wholly unwilling to discard the long tradition of succession to the throne simply because of the passing errors of an incumbent. A particular king may abdicate or flee “for his own person,” (105) but he cannot thereby negate the fundamental constitutional law of the nation or destroy the social fabric (106). “Otherwise…no law be left but the will of a prevailing force,” (105). Foolishly, by destroying the monarchy, the French had overthrown and renounced their traditions and the customs and morality that had held their nation together. 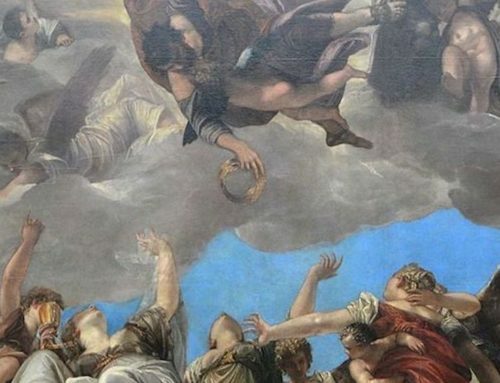 They had acted on the basis of metaphysical reasoning disconnected from the foundations of a secure and stable life and had plunged France into chaos. The likelihood of such an outcome was why in Burke’s view “a revolution will be the very last resource of the thinking and the good,” (117). The British Revolution of 1688 had preserved the foundations of the nation; the French Revolution was in the process of destroying them. Burke then focuses his attack on the newly constituted French National Assembly, which had assumed total sovereignty over the country. He was unimpressed with the quality and stature of the delegates to the Assembly, describing them as comprised largely “of obscure provincial advocates, of stewards of petty local jurisdictions, country attorneys, notaries, and the whole train of the ministers of municipal litigation, the fomentors and conductors of the petty war of village vexation.” These new rulers of the French nation had in their rise to omnipotence become “intoxicated with their unprepared greatness,” (130). To Burke’s mind they were incapable of “a comprehensive connected view of the various complicated external and internal interests which go to the formation of that multifarious thing called a state,” (133). Throughout his life, Burke never wavered from his belief that elected representatives should espouse and protect national interests. The French legislative assembly had proceeded, not on the principles by which mature, deliberate statesmen are guided, but on an allegiance to abstract concepts of equality and the rights of man. No doctrine, declared Burke, could be more insidious to the preservation of a nation or the protection of human liberty (142). “Those,” he declared, “who attempt to level, never equalize,” (138). In taking up theories of the rights of man, the revolutionaries had “totally forgot his nature” (156). In their hands the policies and organization of government have deteriorated to matters of “convenience,” (151). They had quickly become a grasping, greedy body of men who recognized neither the practical necessities of good government nor the need for limits on their avarice. While the church, monarchy, aristocracy, and a mediated form of democracy were important to the British system, each of these had been perverted by the French in their revolutionary ardor. Popular democracy had become the agent for destroying the institutions of the past, but, without these, it could provide no stable foundations for the future. Throughout his essay Burke emphasized the importance of the church and religion. He asserted that “religion is the basis for civil society, and the source of all good and of all comfort,” (186). He was enraged by French treatment of high-ranking clergy and the seizure of church property. He traced much of this to the belief that pure democracy must proceed on rationalistic, amoral lines. This philosophy had unleashed “an insolent irreligion in opinions and practices,” (125). Burke decried such hubris because “we are men of untaught feelings,” (183). The stock of individual reason, despite the claims of the new rationalists, was pitifully small. The “spirit of atheistical fanaticism” (262) permeating revolutionary France should not be allowed to replace the basic principle that citizens, whatever their commonwealth, do not determine the “standard of right and wrong” (191). As for the monarchy and the nobility, Burke acknowledged the personal flaws of the former and praised the latter as a barrier to social leveling. Despite the personal limitations of the French monarch, not all fault lay with him, for “Kings will be tyrants from policy when subjects are rebels from principle,” (172). Moreover, Burke argued, the French nation had gained in both wealth and population under its recent monarchs. The nobility, for Burke, seemed to serve as a bridge between the commercial and common classes and the monarch. They filled “a social void” and in that manner provided an important balance within the nation. Burke saved his most purple prose and incisive analysis for the concept of pure democracy and the revolutionaries’ floundering efforts in that direction. Noting that he knew of no examples of large democracies, Burke further declared that he was unable in history to identify a direct democracy of worth (228). His primary concern about such a political system, and one that has echoed throughout the ages, was the depredations that it wreaks on minorities. Based on abstract principles of rationality and equality, the French system had no safeguards for those not among the majority (230). Even more ominous was the looming knowledge that those in the majority themselves had no assurance that they could remain in that position for long. The majority of the moment was continually in danger of becoming the persecuted minority of the future. Having rejected the protections provided by traditional practices and by the maxims of the church, the popularly elected delegates to the National Assembly were easily guided by their greed and the opportunities of the moment. The result, predicted Burke, was sure to be catastrophic confusion. In contrast to the French, nations with statesmen as leaders could both provide guidance in international endeavors and command international respect. Among the current French leaders there was no concern for promoting a stable foreign policy because these public figures lacked the intellectual underpinnings to provide predictability and cooperation in the international community. A statesman, in Burke’s mind, works to preserve the valuable institutions and practices of the past and at the same time to improve on them. A true politician “always considers how he shall make the most of the existing materials of his country,” (267). The revolutionary leaders were not products of a careful schooling in the exercise of such statecraft. They were instead a loose association of men “who have availed themselves of circumstances, to seize upon the power of the state,” (275). In short, they were illegitimate opportunists, of whom little could be expected in terms of wise and deliberate policies (276). 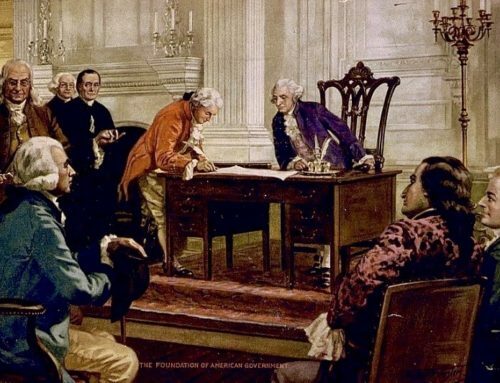 One institution that Burke clearly believed essential for preserving a nation and guiding its leaders was a constitution rooted in the fundamental beliefs and practices of the people. The authors of the French constitution saw such beliefs and practices as “mere rubbish” to be cleared away for their experiment in the application of abstract principles to society (285). Based on unworkable geometrical, arithmetical, and financial calculations, the document formulated by the revolutionaries lacked any moral or political references (296-97). It was, in short, totally disconnected from the needs and behavior of the real people whom it was to govern. Its cornerstone was a sovereign Assembly that brooked no independence on the part of the monarch, the courts, or private institutions. This was a “body without fundamental laws, without established maxims, without respected rules of proceeding” producing policies almost by chance (315-16). With “this monster of a constitution” and its accompanying sovereign assembly “all the deceitful dreams and visions of the equality and rights of men” will be “absorbed, sunk, and lost forever,” (313). In light of France’s history following the revolutionary period, Burke’s discussion of the corrosive effects of claims for equality and the rights of man on the military was especially clear-sighted. These beliefs had penetrated the ranks of the army and undermined both its discipline and its proper role. The military, Burke emphasized, must be an instrument of policy; it is not a deliberative part of the democratic process (332-33). France, however, was moving in the latter direction, and Burke feared the rise of a military democracy because it simply would not be possible to hold “in obedience an anarchic people by an anarchic army,” (350). Although Burke’s Reflections are rightly viewed as an attack on Enlightenment philosophy gone wild, his work provides as well, and perhaps today more importantly, an exposition of the components of nationhood. Burke’s oft-quoted statement on the nature of the social contract depicted social bonds that are independent of government. This statement illustrates conclusively Burke’s grasp of the concept of a nation. Society is indeed a contract. Subordinate contracts for objects of mere occasional interest may be dissolved at pleasure—but the state ought not to be considered as nothing better than a partnership agreement in a trade of pepper and coffee, calico or tobacco, or some other such low concern, to be taken up for a little temporary interest, and to be dissolved by the fancy of the parties…. It is a partnership in all science; a partnership in all art; a partnership in every virtue, and in all perfection. As the ends of such a partnership cannot be obtained in many generations, it becomes a partnership not only between those who are living, but between those who are living, those who are dead, and those who are to be born (194–95). For Burke, the well ordered state encompassed a social unity that drew upon all human endeavors and that provided both stability and enhancement of the human condition. Burke understood the necessity of a strong government for the protection of individual liberty. In his words, “Nothing turns out to be so oppressive and unjust as a feeble government,” (355). He called for a “manly, moral, regulated liberty,” (89). 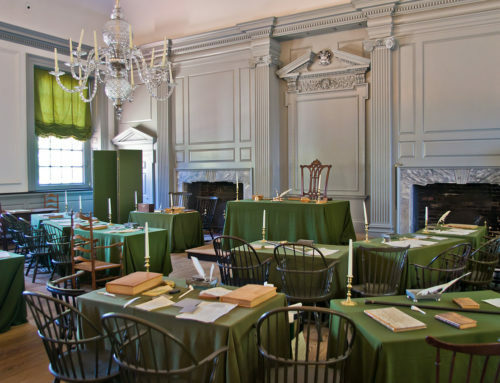 Most important, powerful, legitimate government requires first and foremost an underlying moral direction—”a sure, solid, and ruling principle”—that defines and guides a nation (104, 282). Here Burke turned to his nation’s inheritance of histories, records, acts of parliament, and journals of parliament (117). “[B]y this means our constitution preserves a unity in so great a diversity of its parts,” (119). These traditions and laws are the glue that holds a nation together and in a real sense, for Burke, constitute an essential part of the social contract. Tragically, by rejecting any appeal to such institutions, the leaders of the French Revolution had viciously and abruptly ripped apart the social fabric that make a nation possible. Their narrow reliance on abstract formulations left them without the means for effective government. That Burke believed in the tangible existence of a nation and a national interest is again demonstrated convincingly by his views on representation. In his mind, government served as the trustee for the entire nation, and it was the role of the elected representatives to discover and articulate the national interest. Political leaders betrayed their trust when they behaved like bidders in a popularity contest (374). Responding to the public whim of the moment and imbued with abstract notions of right and wrong, the members of the National Assembly had abandoned the public interest “wholly to chance,” (277). Burke argued that “government is a trustee for the whole,” (303) and in his speech to the electors of Bristol he followed through on this position. Burke’s statement has often been cited as an able defense of the idea of virtual representation, but there is something more to be gleaned from his position. Burke recognized the pivotal role of elected representatives in setting the framework for policy discussions. If the people’s leaders spoke and acted in terms of the public interest—rather than as delegates for particular selfish interests—then the citizenry would tend also to frame their views in those terms. The ability for government to act for the good of the whole, then, results from the reciprocal relationship initiated by elected leaders. Where this has fallen short in the modern era has been the injection of “objective” social science analysis into the policy process. Within this framework, positivism has too easily trampled the concept of the public interest, leaving students of politics championing narrow self-interest as the essence of a democratic system. The continuing virtue of Burke’s critique of the French Revolution rests on his understanding of the devastating effects that the assumptions and projects of the revolutionaries had on the true foundations of nationhood. For them government policy had become a response to whims of the moment and to the pleas of self interest demanding immediate satisfaction. But for Burke government was an integral part of the nation, both past and present. The refusal of the French revolutionary reformers to countenance the merits of the past and to respect the components of the social fabric undermined the nation as a whole. The consequences were a lack of direction and a pervasive sense of insecurity and doubt, with political advantage going to those most adept at manipulation and exploitation of their fellow men. Dewey saw democratic government’s primary function as the facilitation of communication and experimentation among the interests in society. It serves merely as a means for change. “[A]s far as political arrangements are concerned, government institutions are but a mechanism for securing to an idea channels of effective operation.” In clear contrast to Burke, Dewey had little use for established institutions. He criticized the truly religious idealization of, and reverence for, established institutions; for example in our own politics, the Constitution, the Supreme Court, private property, free contract, and so on. The words ‘sacred’ and ‘sanctity’ come readily to our lips when such things come under discussion. They testify to the religious aureole which protects the institutions…. [T]he actuality of religious taboos has more and more gathered about secular institutions, especially those connected with the nationalistic state…. There is a social pathology which works powerfully against effective inquiry into social institutions and conditions. The importance of associations to Americans had been noted at least as early as Tocqueville’s famous 19th century study, but it was only in the 20th century that reformers emboldened by Dewey’s claims of science and imbued with the need to refashion society turned to the many groups engendered by American pluralism as the tools for progressive change. It is my contention that these endeavors have ignored the basic truths of nationhood articulated so well by Burke and in doing so have, instead of constructive, directed reform, wrought a national condition that threatens the foundations of American unity and governmental authority. The modern era of Americans’ attachment to groups as the dynamic, and essential, elements of politics might be dated from David B. Truman’s The Governmental Process. Truman described American politics as pervasively group politics, depicting even the branches of government as forms of group interest. However, his account of American politics had a sociological depth and objectivity that those of later pluralist scholars often lacked. Most important Truman clearly recognized that the day-to-day group struggle in and of itself fell short of encompassing national values. As groups competed for advantage in the political system, Truman portrayed them as accountable to fundamental norms of fair play held dear by Americans generally. These norms are “interests or expectations that are so widely held in the society and are so reflected in the behavior of almost all citizens that they are, so to speak, taken for granted.” They are, in Truman’s words, “the rules of the game.” Maintaining his interpretive framework, Truman contended that these values are protected by potential groups that become activated if the group struggle transgresses them. To his credit Truman understood the dire implications of a failure of the underlying consensus in the American polity. At the conclusion of his seminal work on group politics he cautioned against condoning any rejection of the “rules of the game.” “The great political task now as in the past is to perpetuate a viable system by maintaining the conditions under which such widespread understanding and appreciation can exist…. In the loss of such meanings lie the seeds of the whirlwind.” With its traditional values under continual attack, the American nation may now be poised on the brink of just such a whirlwind. Among the leaders in the movement for a more rigorous approach to political analysis were Robert Dahl, Charles Lindblom, and their pluralist brethren at Yale University. As Richard M. Merelman points out, from 1955 to 1970, by any reasonable measure “the Yale University Department of Political Science was a national leader in the study of American politics,” and the explanatory paradigm promoted there was pluralism. For the pluralists, as with Truman, American politics, and especially the policy process, is composed of organized interests that negotiate and compete to achieve their goals. Unlike Truman, however, the Yale pluralists concentrated almost solely on the policy process and the outcomes engendered by the interaction of diverse interests. For pluralists, American politics features incremental and unpredictable change. They accepted the pursuit of narrow self-interest as the basic attribute of American politics and as the primary force driving such change. Although Lindblom has been an important spokesman for pluralism, his colleague Robert Dahl has for several decades been the preeminent representative of this perspective. In fact, Merelman dates the beginnings of the pluralist adventure to Dahl’s A Preface to Democratic Theory, a widely read and highly influential work published in 1956. This early work illustrates the basic parameters of what Dahl touted as rigorous political analysis. In it Dahl argued that “as political science rather than as ideology the Madisonian system is clearly inadequate.” What Dahl meant was that applying the rules of strict logical analysis to Madison’s writings reveals inconsistencies. He was concerned that the compromises that Madison fashioned to explain American democracy contain logical flaws. He was, however, noticeably unwilling to delve into the social and cultural assumptions within which Madison worked and which may have explained away much of what Dahl, the latter day logician, saw as contradictions. By the end of the book, Dahl had turned to his signature contribution to political ideas—the concept of polyarchy as the most accurate description of American politics. Typical of the pluralists, polyarchy stresses the importance of groups and of process. For Dahl “specific policies tend to be products of ‘minorities rule. '” Again, “the making of government decisions…is the steady appeasement of relatively small groups.” Thus, “[d]ecisions are made by endless bargaining.” What A Preface to Democratic Theory demonstrates, admittedly in retrospect, is the superficiality of the pluralist understanding of American politics. Burke’s admonition that, divorced from the foundations of tradition and historical practice, national policy becomes subject to the vicissitudes of a “gaming table” seems especially apt as a description of the “endless bargaining” championed by Dahl. Dahl’s more recent work demonstrates his continued obliviousness to the deeper forces of politics. His book On Democracy, for example, is offered as a brief historical and theoretical treatment of democracy. Dahl begins with a survey of the origins and evolution of democracy and then moves to explaining what he sees as the essential elements of viable democracy. Political equality dominates his formulation of proper democratic practice, and he returns again to the importance of polyarchy as an accurate depiction of what modern democracy, in America at least, is. The reader is struck by the superficial and formalistic character of Dahl’s understanding of democracy. In particular, he makes no mention of the role of religious strife or of religious practice in the evolution of western democratic ideas and practice, a force which Dewey specifically recognized in his brief treatment of democracy’s heritage in The Public and Its Problems. There exists in Dahl’s approach no sense whatsoever of the importance of the underlying traditions and norms that Burke saw as so essential to stable government and to nationhood. In a review of Dahl’s book Kenneth Minogue makes this point with emphasis. He concludes that Dahl “profoundly misunderstands the world we live in.” In his view the “simplicities” in Dahl’s presentation of democracy “reveal…a complete rejection of historical evolution in favour of a preference for engineering State and society to fit an abstract ideal.”. Although many of their studies of the policy process remain useful, the pluralists possessed a tin ear for the resonating cultural and social melodies of American democracy. Specifically they have been roundly criticized for ignoring the importance of the emerging civil rights movement of the 1960s and the increasing public opposition to the Viet Nam war. Merelman, in fact, argues that Dahl became more removed from fundamental social changes as they emerged, with the result that his pluralism became even more distant from American politics. It remained, however, for Theodore J. Lowi to show that the pluralists’ paradigm itself worked serious harm in the policy process that they so ardently studied. More clearly than anyone, Lowi showed that the shallowness of pluralist thought threatened the authoritative position of government. However, Burke, in some respects, captured more comprehensively the deleterious effects of the lack of government legitimacy. Government, Burke asserted, “is a trustee of the whole, and not for the parts,” (303). The French revolutionaries had turned the country into “one great play-table,” at which all are forced to play even though “few can understand the game,” (310). Those who cannot access the play, either because of lack of material resources or knowledge, are left to the mercies of those who can and do. In these conditions government defaults to those pursuing their self-interest, and the nation as a whole suffers grievously. When the traditions of the nation’s past are dissolved into the depredations of individual self-interest, “[f]rom that moment we have no compass to govern us; nor can we know distinctly to what port we steer,” (172–73). Although perceptive and penetrating, few of the critics of the pluralist paradigm have achieved the level of interpretive acumen that Burke’s rejection of the French Revolution provides us yet today. What American critics have failed to realize is that the pluralists’ approach to American politics has contained the seeds of destruction for the national framework within which their view of politics has played so well. It remained but a matter of time until groups formed for the specific purpose of manipulating the basic social norms of the nation. In other words, in the competition among interests that was so highly prized by the pluralists, interests emerged that recognized the possibilities of gaining greater advantage by manipulating the rules of the game themselves. Their target became the norms that composed the underlying consensus allowing American democracy to function in stable fashion. These attacks have made the foundations of American nationhood highly vulnerable. As has often been the case, the path to the current chaos began with good intentions. The initial assault on American values was for a worthy cause—that of black emancipation from legal, social, and cultural oppression. Beginning in the mid-twentieth century African-American leaders through the use of organization, primarily the National Association for the Advancement of Colored People, and the courts whittled away at legal discrimination against their people. What was significantly different about the Black Civil Rights Movement, and was to have continuing repercussions for a wide variety of later group efforts, was the deliberate efforts of its leaders to change American beliefs. Black leaders recognized that legal victories would be hollow without accompanying social and cultural acceptance. Thus they promoted group consciousness and pride, direct action, the use of particular forms of language, and revised versions of American history to rework basic American attitudes and beliefs. The result has been a, largely peaceful, revolution in American norms and an integration of African Americans into all walks of American life. Following in the wake of the Black Civil Rights Movement, other interests have seen the potential for group action aimed at reworking the fundamental norms of American society and culture. In this respect group activity has moved beyond the economic and political bargaining envisioned by Dewey, Truman, Dahl, and Lindblom to the conscious refashioning of basic norms. Because of these scholars’ inability to think comprehensively in terms of nationhood, their thought contains no means for parrying these attacks. Without normative foundations their theoretical positions are bereft of effective defensive tactics. To paraphrase Burke, their focus on the politics of process ignores “the whole chain and continuity of the commonwealth…. No one generation…link[s] with the other. Men…become little better than the flies of a summer” (193). This failing has now spilled over into the policy process. Burke’s concerns about the emergence of a French military class with influence on democratic policy have also begun to have relevance for Americans. In his study of contemporary American foreign policy, Andrew J. Bacevich points out that the military has divided the world into regions with military commanders in chief (CINCs) heading each region. He attributes the appearance of this “new class of military viceroys” to the perceived “ineffectiveness of civilian agencies charged with making policy.” Thus, these military leaders are engaging in diplomatic negotiations, formulation of drug interdiction policy, and nation building among other activities formerly conducted solely by the State Department and civilian agencies presumably more sensitive to the values of a democratic public. Moreover, the military has delved as well into the enunciation of moral standards for their conduct. Michael Walzer, a scholar who has written extensively on the issues of just and unjust wars, contends that in recent years the categories of just war rationales have been appropriated by the military. “For many years, we have used the theory of just war to criticize American military actions, and now it has been taken over by the generals and is being used to explain and justify those actions.” When the substance of the American moral tradition is open to continual reinterpretation and definition, those better organized and more powerful will certainly not hesitate to define the standards by which Americans will live and also those by which they will die. Recently, some scholars have begun to share their premonitions that there is something seriously amiss in the American polity. In their book Downsizing Democracy Matthew A. Crenson and Benjamin Ginsberg, political scientists at Johns Hopkins University, conclude that the era of the citizen has passed in the United States. They contend that politics and the policy process have evolved into a personalized form of democracy that is dominated by advocacy groups within the Beltway. In their words: “We are witnessing a radical divergence between the moral conception of citizenship and the political conduct of citizens.” The public, qua public, has been marginalized by special interest groups increasingly dependent on government largesse. In their view, pluralist scholars such as Lindblom and Dahl have promoted “social techniques” to the detriment of an ideologically informed citizenry. Pluralist models have neglected the politically active citizen, who is now rapidly being moved to the margins of both politics and policy. After surveying the condition of democracy around the world today, Fareed Zakaria, editor of Newsweek International, concludes that most successful developing democracies have been liberal authoritarian. He argues that in the United States, as well, those policy leaders who are able to move beyond “short-term political and electoral considerations” are those who are insulated from the continuing, insatiable demands of those interests touted by the proponents of pluralism. Critics of the failings of American democracy have proffered suggestions that may offer some protection for both government and the nation. Lowi urges a return to “juridical democracy,” a form of politics in which formal legal standards are observed by government institutions and enforced by the courts. Echoing Burke’s concerns about the depredations of the French revolutionaries against the disadvantaged, Lowi declares that: “The juridical principle is the only dependable defense the powerless have against the powerful.” Crenson and Ginsberg want to see more robust political parties, and Zakaria seems to believe that some distancing from the continuous demands of interest groups is necessary for agencies if they are to be able to act in the long-term interests of the nation. While useful, these suggestions all fall short of confronting the depths of the current crisis in that they fail to enunciate the fundamental importance of normative social forces supporting both authoritative government and the concept of an American nation. No rational person would deny that the United States in the modern era must inevitably face tremendous centrifugal forces stemming from its attractiveness to those from other nations and its heritage of diversity. What seems incontrovertible is that important scholars in the field of American politics—those who are looked to for guidance in understanding the political dynamics of the nation—have failed miserably and, perhaps, tragically both to articulate the importance of political nationhood and to identify threats to that nationhood. Few expect these intellectuals personally to take up the cudgels of practical politics as Burke did, but it would seem incumbent on them at least to provide theoretical footholds for protecting the nation, as a nation, for those who must engage in political battle and policy debate. The future of the nation depends on the willingness of American scholars to return to constructive and comprehensive political analysis, and, in this endeavor, Burke must surely be an important guide. This essay was originally published in the Political Science Reviewer (Volume 35, No. 1, 2006) and is republished here with gracious permission. Edmund Burke, Reflections on the Revolution in France, Conor Cruise O’Brien, ed. (Baltimore: Penguin Books, 1969 ). Subsequent references to the Reflections will be cited in parentheticals. See, for example, Samuel P. Huntington, Who Are We? (New York: Simon & Schuster, 2004). Edmund Burke, “Speech at Mr. Burke’s Arrival in Bristol,” in Isaac Kramnick, ed., The Portable Edmund Burke (New York: Penguin Books, 1999) 156. See, for example, Harold D. Lasswell, Politics: Who Gets What, When, and How? (Cleveland: Meridan Books, 1951). This book has often been seen as describing a “realistic” approach to politics because its title sums up what many political scientists regard to be the essential elements of democratic politics. John Dewey, The Public and Its Problems (Chicago: Gateway Books, 1946 ) x, 174. Alexis de Tocqueville, Democracy in America (New York: Vintage Books, 1961 ). David B. Truman, The Governmental Process (New York: Alfred A. Knopf, 1960 ). Glendon Schubert, “Is There a Public Interest,” in Carl J. Friedrich, ed., The Public Interest (New York: Atherton Press, 1962) 175. See also, Glendon Schubert, The Public Interest (Glencoe, IL: The Free Press, 1960). Richard M. Merelman, Pluralism at Yale (Madison, WI: University of Wisconsin Press, 2003) 12. Charles E. Lindblom, “The Science of ‘Muddling Through,'” in Jay M. Shafritz and Albert C. Hyde, eds., Classics of Public Administration, 2nd edition (Chicago: Dorsey Press, 1987) 263–75. Robert A. Dahl, A Preface to Democratic Theory (Chicago: University of Chicago Press, 1956) 31. Robert A. Dahl, On Democracy (New Haven: Yale University Press, 1998). Dewey, The Public and its Problems, 85–86. Kenneth Minogue, “Creed for democrats,” Times Literary Supplement (June 18, 1999) p. 18. Theodore J. Lowi, The End of Liberalism, 2nd edition (New York: W.W. Norton, 1979) xvi. Andrew J. Bacevich, American Empire (Cambridge: Harvard University Press, 2002) 173. Michael Walzer, Arguing about War (New Haven: Yale University Press, 2004) 13. Matthew A. Crenson and Benjamin Ginsberg, Downsizing Democracy (Baltimore: Johns Hopkins University Press, 2002) 10. Fareed Zakaria, The Future of Freedom (New York: W.W. Norton, 2003) 251. Lowi, End of Liberalism, 298. Crenson and Ginsberg, Downsizing Democracy, 240. Zakaria, Future of Freedom, 250. Dr. Robert A. Heineman is Professor of Political Science, Emeritus, at Alfred University as well as the author of several works, including Ethics and Public Policy and The World of the Policy Analyst: Rationality, Values & Politics. 1. Given that “American society is more fractionated than ever before and in some ways is poised on the precipice of losing a sense of national unity and a national past” and “the pluralists’ approach to American politics has contained the seeds of destruction for the national framework within which their view of politics has played so well. It remained but a matter of time until groups formed for the specific purpose of manipulating the basic social norms of the nation” – could it be that Burke’s approach is no longer applicable, because there are no longer any real national institutions to preserve. Instead, it seems that if anything, a more applicable approach would be that of Metternich, what with the America of today being more akin to the Austro-Hungarian Empire than to the far more culturaly homogenous France and Britain of centuries past. 2. I find one minor flaw in the juxtaposition of Burkean Nation apologetics and the French Revolution’s singularly destructive attitude towards national life in favor of abstract reason: namely it does not account for the fact that the great wave of European nationalism, of national liberation revolutions came in the wake of and supported by Napoleon. Napoleon’s entire European campaign depended on the support of national bodies in exchange for their liberation from monarchy – often foriegn monarchy. If anything, this only demonstrates the oft contrary interests of the Continent and Great Britain. For millions in Europe, Napoleon is synonimous now with national liberation, not with dictatorship born of revolutionary terror and anarchy. I highly doubt the adoration is deserved, though it is also not wholly unearned.